I love speaking at events as a organizational culture expert. It’s a great opportunity to meet organizational leaders and spread the word about the importance of building a conscious culture within their organizations. 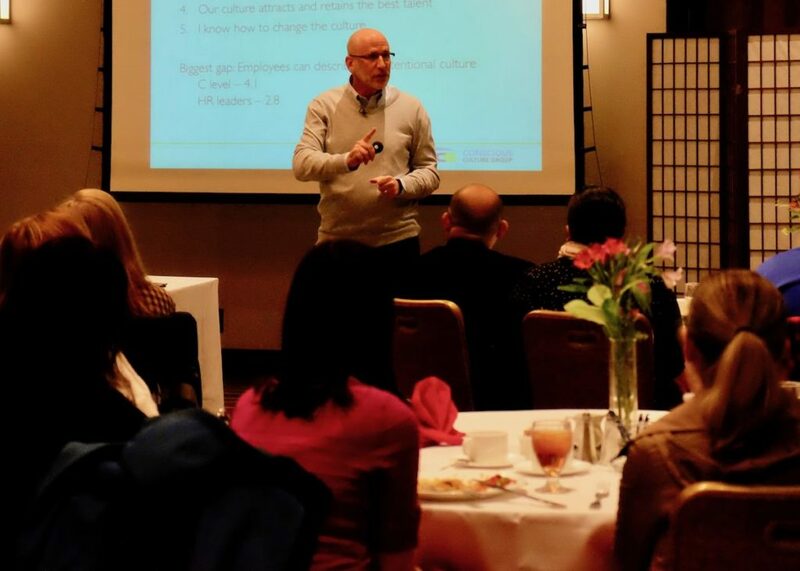 On February 28th, I had the pleasure of speaking on “Creating a Conscious Intentional Culture” at the San Mateo Employer Advisory Council. The attendees worked for a variety of industries, including tech, schools, grocery stores, property services, town halls, and non-profits. It is so motivating to see and understand that people from different professions and industries all have a desire to create a better work place. The most important role of every leader in all industries is to create a culture where people are committed to the leader’s vision. We discussed ways leaders can design, listen to, develop, and share their unique culture. No matter what industry you work in, it’s important to focus on building a strong, united organization from within. Only by intentionally working on your company culture, will your business thrive. Click here for more information on booking Russ Elliot from Conscious Culture Group as a guest speaker at your next event.